When you are one of those people who doesn't like spending much time in cleaning, robot vacuum cleaners is a fun way to get your boring household chores done. Unsurprisingly, they also look impressive but you certainly need to know if they are worthy of investing your money in. these are the kind of a product which never claim to be as standard as your regular vacuum cleaners if it is all about the suction and dust capacity only. But still, it is a convenient option if you are concerned about keeping your home spick and span with minimum efforts. In addition, some of them also come with apps so you can control them outside the home as well. Difference vacuums come with different cleaning systems. While some take methodical approaches, others look like they’re moving around the home randomly and mapping out space with help of inbuilt cameras and other smart sensor technology; which is also a little frustrating to watch sometimes. Plus, there are some that come with remote controls and you can direct them for cleaning right from the comfort of your sofa. Generally, it won’t be wrong saying that the more expensive these robot vacuum cleaners are, the more cleaning modes they are comprised of. Every vacuum cleaner comes with a wide range of accessories including a virtual wall that helps in blocking off areas that you don’t want to be under its pressure, cleaning brushes, sweeper brushes, and a lot more. You can pick the best one for the cleaning of your home and watch the magic happening, no matter if you are at work or home. Some experts have tried a range of robot vacuums in their test rooms with some obstacles like chairs, tables, sofas, carpets, and more to contend with. Also, they covered the objects with some dirt, dust, and fluff to find out the best results. After testing their different cleaning modes and accessories, they concluded that the following are some products worth investing in. We always suggest buyers not to be swayed by cheap prices only, check for the features of a robot vacuum first. 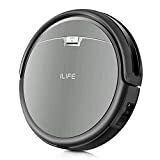 While Roomba 650 is a kind of vacuum cleaner that fits in your budget range as well as meet your requirements much more conveniently. It is a perfect option for the homes where pets are kept because it is specifically much helpful in removing pet hair and danger. It is a well-designed product that is offered with powerful brushes and suction which is an ideal combination that makes a huge difference in your floor cleanliness. Following are the main features of Roomba 650 that make it different from other competitive products. 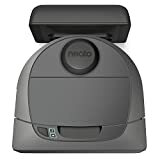 The Product features three stage cleaning system that enables it to remove dirt and pet hair that other robotic devices can hardly do. Its sensor system is efficient enough to target the dirtiest areas of floor. Every section of the floor is cleaned in such a perfect way that you don’t need to go back and clean the missed locations of the home. It is very easy to program the device and schedule it for the up next 7 cleaning sessions. Simply, pick the date and time with the use of buttons. It is all what requires for the device’s programming therefore it is not complex at all. Since robot vacuum cleaners have been on the upward swing in recent years now, each product comes up with a new feature and even a heftier price tag. Amongst such competition, Neato Botvac D3 Connected Navigating Robot Vacuum tends to be so refreshing. It is packed in with features that its users have come to love it. Our recommendations for Botvac D3 are due to following reasons: Currently, it is the cheapest robot with WiFi app control (which comparatively works much better than others). It is the very recent cleaning technology with reasonable price tag. It is multi-room navigation which is actually ideal for up to 1800 square feet. It is self-charging which resumes where it left off afterward. iLife Series is a big surprise in the budget market so far. The latest addition to its range is new A4, which is focused on cleaning your carpets robotically. In other words, it is an intelligently sensor-packed robotic vacuum with a solid battery to help you with untroubled and automated cleaning. A4’s 2600mAh battery is proficient enough to provide the use of a battery between 2 and 2.5 hours after a single charge with two power modes to balance the battery life, which is the key to its potential. A4 comes with a set of IR sensors on the front side that helps it in avoiding many obstacles like chair legs, table legs, walls etc. also, it features a drop sensor to prevent it falling down off the stairs. Moreover, a physical bumper can be availed to notice obstacles that sensors may fail to pick up. The rotating side brushes of the vacuum component has the capacity of 1000pa suction to drag dust, hair, and dirt into the bin. Its cleaning modes include edge, spot, and pre-planned modes. The Roomba 980 is designed with the capability to run for a full of two hours before needed to be recharged. It is the personal best for Roomba that makes it stand out of the crowd. It won’t be wrong saying that this is the game changer for the robot vacuums. Most of us have been waiting for the robotic vacuums to get fully integrated towards smart home experiences. As far as our knowledge, iRobot is a first vacuum company of its kind that has introduced an app like this, which is perfect for the people who are on the go always. It allows the user to press “Clean” and the app will start/stop as per desired. 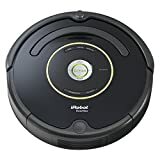 it is literally more of a ground breaking improvement that improves the Roomba 980 over previous versions. In addition to its formerly traditional features of bumper sensors, it features the vSLAM (Visual Simultaneous, Localization, and Mapping) technology now. It allows the visual localization help navigate and map the space. Rana Jones is a geek who is totally dedicated to his profession of freelance writing. He has contributed with some well-known authors available at Amazon and ebay for which he has been rewarded many times. His work in the field of education is considerable much that skeptical individuals have cleared all the doubts about online degree programs. Now, they not only take in life experience degrees accredited but enroll in such programs as well.